Loom Network’s scaling solution relies on creating side chains that are bonded to and Ethereum smart contract via a relay. Each DApp gets its own chain, allowing the DApp to scale while still being tied to the security of the Ethereum mining network. These side chains have their own DPoS consensus, and they support custom transaction types like creating accounts, posting messages, and voting. Think of the Loom network not as a single DPoS sidechain, but an SDK for developers to spin up their own DAppChains to run heavy applications that can’t run now on Ethereum. Today, complex operations in smart contracts require high of gas costs and make it impossible to deploy large scale applications, like a decentralized Facebook or Twitter on Ethereum. I don’t even want to imagine the transaction fees for millions of users tweeting on a decentralized application. Every second, on average, around 6,000 tweets are tweeted on Twitter. If large scale systems, that require hundreds of thousands of transactions per second, are ever going to be built on blockchain, the technology needs to overcome several obstacles. While at the moment, Ethereum is decentralized and secure, it is not scalable. Lightning Labs, the company behind the original development, is moving to the production environment, meaning, you will have the option to use off-chain payment channels to do transactions. Now you can setup a lighting node, which will re-route payments to other nodes, and get paid to do that. You can start using it as a consumer to send money to another person, or pay a business. We can expect the transaction fees to decrease exponentially, as miners will only register and validate final balances from the off-chain channels onto the blockchain. While its still early, if Lightning Network succeeds and is able to scale the number of transactions on the Bitcoin network, it could fundamentally change how Bitcoin is used. When you consider fast, nearly zero-cost transactions, we could see things like micro-payments, push Bitcoin into mainstream and extending it far beyond its current status, as a store of value. Now that’s exciting! Decrypted: Bitcoin (BTC) surged from less than one dollar in 2010 to $997 at the start of the 2017 and again to nearly $20,000 last December. This past week Bitcoin dropped below $8,000, with other cryptocurrencies following dropping as well. The first quarter of 2018 has been marked by rampant volatility. Coming off an all time high in December 2017, negative publicity has cause the entire cryptocurrency market to plunge, after surpassing $800 billion in early January 2018. Last week, the Securities and Exchange Commission (SEC) vowed to regulate cryptocurrencies at the same time as traders were rattled by claims of hacking in the market. It also took a hit this week, after Google revealed stricter advertising policies which will impact cryptocurrencies and initial coin offerings (ICOs). A sell-off of crypto assets by a Japanese Bitcoin holder known as the “Tokyo Whale“, added to chaos in the crypto world. Finally the Internal Revenue Service (IRS) said it would tax as a capital gain, anything purchased using a digital currency. The perfect storm! In 2017, blockchain and cryptocurrencies became too big to ignore. In 2018, they will become too big to fail. As the market grows further, regulatory scrutiny is expected and regulators will be more assertive. But that’s not necessarily a bad thing. Retail and institutional investors are ready for a regulated and liquid marketplace for digital currencies and assets. The certainty that regulations bring is very important, more than people think or realize. Appropriate regulation should ultimately help promote best practices and provide protection to consumers. While regulatory news out of US, Japan and other countries have impacted cryptocurrencies, the reality is that it should not have caused any alarm or panic, especially when you at the big picture. The future is bright! Cryptocurrencies are still in the early stages of development. We can expect prices to surge, as technologies scale transaction levels and some other developments come out of the woodwork. Meanwhile, many of the best new startups are architected on decentralized models. In 2017, ICOs raised funds for utility tokens. Most token purchases were driven by short-term speculative gain. But the promise of ICOs is not to enable speculation, but to enable the funding of innovation. In 2018, we can expect security tokens to explode. These will be digital assets that represent stocks, bonds and futures contracts. New and existing companies will taking a better look how they can build communities with their ICOs, not just speculators trying to make a quick buck. Consider a company like SpaceX or Tesla doing an ICO. There are millions of Tesla fans around the world that can’t buy a Tesla car, but would love to be part of the community and have a stake in the company’s future. Tesla could issue a security token to represent ownership in a product, in the company, or for example to entice individuals to reduce their carbon footprint. 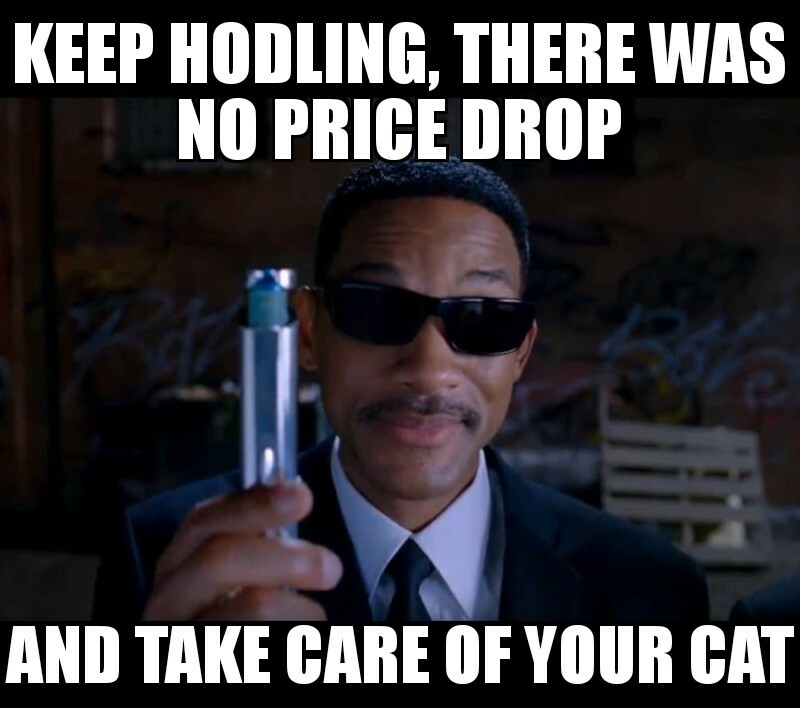 So, HODL to your Bitcoin and other cryptocurrencies. Cryptocurrencies are a long term play, not for the faint-hearted. Next How to Enable Privacy on a Public Blockchain?